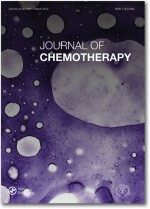 The Journal of Chemotherapy is an international scholarly journal published bimonthly in Florence, Italy and is published under the auspices of the Italian Society of Chemotherapy and of the Italian Federation of Human and Animal Mycopathology. The Journal of Chemotherapy deals with all aspects of antimicrobial, immunomodulating and anticancer chemotherapy. The Journal of Chemotherapy is committed to the rapid publication of high quality, peer reviewed, original research and review articles, short communications and letters in English. Letters that comment on an article previously published in the Journal of Chemotherapy are also welcomed.